As Building and Civil Engineering Contractors in Essex we are here to offer you a range of building services covering all jobs, no matter how large or small the work may be. We complete all aspects of Formwork, Steel Fixing, Concrete Groundworks, Drainage, Sub/Super Structure offering a quality service to our clients. With over 40 years experience in groundworks and construction we promise our clients excellent levels of customer service. We can deal with anything you need, for more information, or some helpful advice, please don't hesitate to call us. As Building and Civil Engineering Contractors in Essex we are here to offer you a range of building services covering all jobs, no matter how large or small the work maybe. We can deal with anything you need, for more information, or some helpful advice, please don't hesitate to call us. 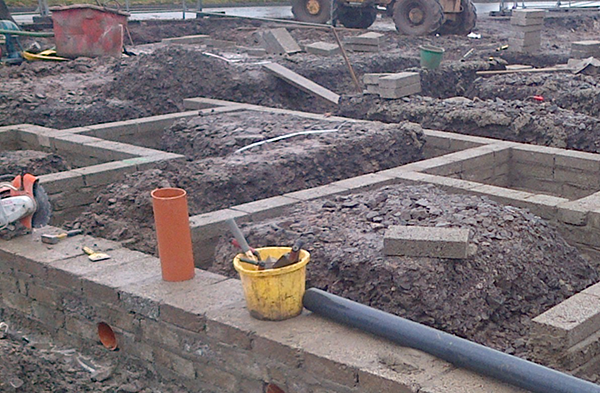 We complete all aspects of Formwork, Steel Fixing, Concrete, Groundworks, Drainage, Sub/Super Structure. We are able to offer a quality service to all our clients throughout the South East of England. We guarantee a quality service which is great value for money! The plant equipment and materials used in all our work is of the highest standard with high quality control standards. We adhere to a very strict environmental policy with our clean, tidy and friendly service. Offering you general construction in Essex, we promise our clients excellent customer service. We have over 40 years of experience in groundworks and construction, so you can rest assured that you are in safe hands when you choose us. We deliver an outstanding quality of work at good value - always on time!